Mattis’s main focus of late has been preparing for possible conflict with North Korea. Why is the Defense Secretary Mattis preparing for conflict with North Korea? Why is this his “main focus”? Ain’t we all gonna have peace and love after Donald Trump and Kim Jong-un meet on June 12 in Singapore? No? Why am I not surprised? I suspected all along that the whole theater between Trump and Kim Jong-un is a setup designed to fail. North Korea offers a phased denuclearization in exchange for a peace treaty and (partial?) U.S. withdrawal from South Korea. The U.S. is unlikely to accept that. For U.S. hawks nothing less than total capitulation is acceptable. But even if North Korea offers all its nukes at once the U.S. will demand more. It will likely ask for intrusive verification access to all North Korean military facilities and the like. North Korea will surely reject such inspections as a danger to its defense capabilities and as a breach of its sovereignty. The Trump administration will spin that into a reason to heat up the conflict. That would be a replay of the situation in 2008. Following the six-party-talks North Korea blew up (vid) the cooling tower of its sole reactor. It submitted information about its nuclear program as had been agreed. The U.S. did not fulfil its part of the deal, taking North Korea off the “terrorist supporter” list, but demanded additional verification access. That ended the deal. The unraveling of the landmark deal to end North Korea’s nuclear weapons programs began just weeks after its high point — the televised destruction of the cooling tower at the Yongbyon nuclear reactor in late June — when U.S. negotiators presented Pyongyang with a sweeping plan for verifying its claims about its nuclear programs. The United States pressed ahead with the proposal despite warnings from China, Russia and other countries that it was asking too much of the xenophobic North Koreans, officials said. North Korea immediately balked and the once-promising talks were at an impasse. The Under Secretary of State for Arms Control was -up to 2005- one John Bolton. He had hired the hawkish “experts” and continued to influence the department after he had moved to the American Enterprise Institute. The intrusive inspection issue is said to have been his idea. Mr Bolton is emerging as an influential figure, with a clear channel to the president and an ability to control the voices he hears. Even if Mr Mattis had wanted to fight for the [nuclear deal with Iran that Trump nixed], it is not clear how much he would have been heard. 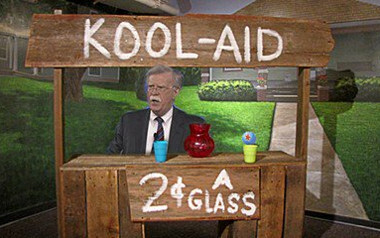 Mr Bolton, officials said, never convened a high-level meeting of the National Security Council to air the debate. He advised Mr. Trump in smaller sessions, otherwise keeping the door to his West Wing office closed. Mr Bolton has forged a comfortable relationship with the president, several people said, channeling his “America First” vocabulary. 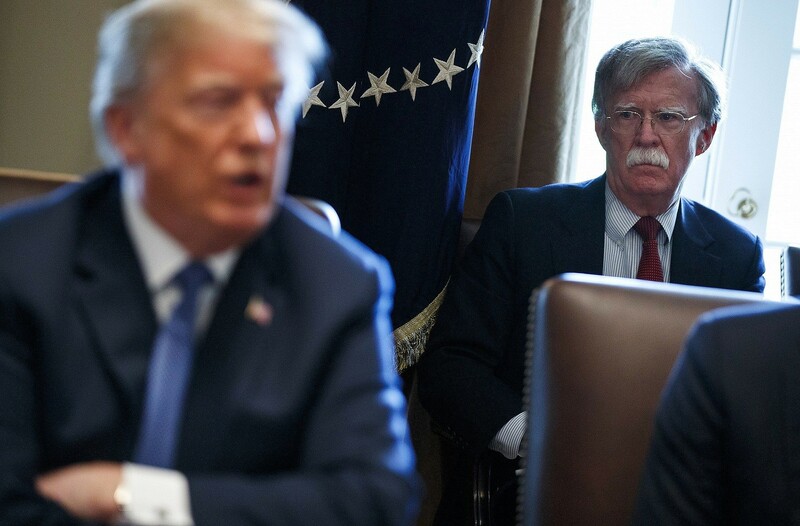 Bolton has long argued for waging war against North Korea and he is now in charge. It is thus not by chance that Mattis is working on plans to attack North Korea. But now, ten years after Bolton sabotaged the six-party-deal, North Korea has high-yield nukes and can hit targets within the continental United States. Would Trump be willing to risk an attack on North Korea and the inevitable retaliation?